Don’t freak out, but your non-profit tax filing deadline is quickly approaching. Individuals, businesses, and 501(c)(3) or charitable organizations will be required to file by the deadline required by their classification, and even though the tax filing deadline for most 501(c)(3)s is May 15, now is the time to start preparing. Of course, your classification as charitable organization probably means that you’re exempt from paying taxes, but you likely still need to submit an informational return with the IRS. This form is called a 990 (there are multiple versions, just like the 1040) and it basically gives the government insight into your operations. Since you probably want to maintain your charitable status, you need to complete and submit this form on time! There’s more than one form 990 you can submit, and it largely depends on your gross receipts for the year. If you have less than $50,000 in gross receipts, your organization would be considered a “small exempt organization,” and you’ll need to submit a Form 990-N, or e-Postcard. If your gross receipts total $50k to $200k and your total assets are less than $500k, then you’ll submit either Form 990 or 990-EZ. If your gross receipts total $200k or more and you have more than $500k in total assets, you will have to submit Form 990. If you’re a private foundation, you’ll have to submit a 990-PF, regardless of your financial situation. What information do I need to complete my Form 990? Pretty easy, right? You may also want to be ready to identify your biggest donors and highest paid employees; the IRS has made some recent changes to this requirement, but it’s best to be as prepared as possible. 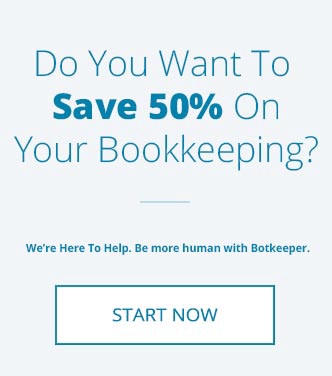 Your CPA will thank you! When is my Form 990 due? For those organizations whose financial year aligns with the calendar, your 990 will be due on May 15 following the close of your tax year. If, however, you have a different tax year, your 990 will be due by the 15th day of the 5th month after the close of your tax year. For example, if your tax year ends March 31, your form 990 would be due August 15. With exception of Form 990-N, which has a firm filing deadline but no penalty for filing late, you could be fined if you’re late with your information return. If you fail to file on time, the IRS may fine you $20 per day for each day that your return is late. In general, you won’t pay more than 5% of your total gross receipts, but if your receipts total more than $1 million, you could be penalized $100 per day up to $50,000. Moreover, the IRS can come after an individual in your organization and fine them $10 per day for late filing. Yikes! It’s best to file for an extension if you suspect you might miss your filing deadline (again, unless you’re filing the e-Postcard or Form 990-N). You’ll automatically receive an additional three or six months to submit your informational return, and you’ll avoid any penalties. The IRS will also have an idea of when to expect your completed Form 990, and they probably won’t come knocking on your door. If, for some reason, you fail to submit your required form three years in a row, your organization will automatically lose its tax-exempt status on the filing deadline of that third year. There’s no appeal process should you miss your filing deadline three years in a row, and the IRS publishes a sort of list of shame for organizations that automatically had their charitable status revoked for failure to file. Long story short: it’s best to follow the rules and maintain your charitable status by filing your 990 each year. Otherwise, you’ll be subject to paying income taxes. Because your information return will be made public, it’s important to omit any personally identifiable information, like social security numbers or other confidential information. For obvious reasons, your board probably won’t appreciate that extra information being published. Additionally, you’ll want to refrain from including anything else that’s not required by the form’s instructions, including pamphlets or brochures about your organization or annual reports. You might think the government would be interested in reviewing this extra information, but the reality is that sifting through it slows the IRS down and delays the whole process. The IRS offers e-filing for non-profit tax filing, and it can save you (and the government) time. Regardless of which Form 990 you’re required to submit, you should be able to e-file with no problem. If you’re unsure of any step in your 501(c)(3) tax filing process, make sure you seek correct answers from reputable sources. 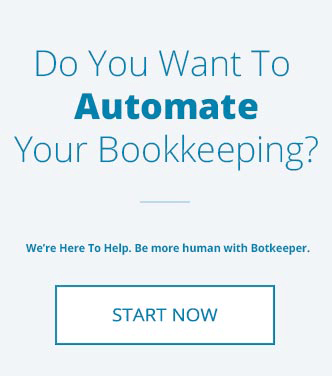 Consult your CPA, or reach out to the expert bookkeeping team at botkeeper for help getting your books in order. Aaron is a content marketer with a background in writing and editing for social, email, and blogs. His experience is heavily focused on entertainment, beer, and bookkeeping/finance.